She stood by the footpath, her shoulders slouched because of the heavy bag she was carrying. I was waiting at the traffic signal in my car and something about her caught my attention. She was a fine kid, probably 10 or 11-years-old, and was coming from the school adjacent to where my car was stopped. She had two pigtails tied with blue ribbons, and yet her face was very tense. It had an unpleasant, don’t-mess-with-me expression, while her body language could best be described as stiff. Every woman reading this knows the expression, because it never goes away. 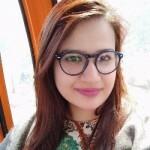 We are taught to be proper in public places and hence, having a borderline aggressive face is considered the most modest gesture for ‘pious’ women in public spaces, as per societal standards. As if being unpleasant or in a bad mood can somehow protect you from potential predators. The more I thought about the girl, the more it made me feel uncomfortable. She had to face the added stress and fear of being in a public space where anything could happen to her. But what about her home? I met a patient in her late teens once. She had all the symptoms of severe depression, including psychomotor impairment and terrible body aches triggered by depressive episodes. A general physician begged the parents to see a mental health practitioner because the girl had been suffering for years. “You were seven-years-old. He was 22. How could you have stopped it?” I replied. “I am an equal participant in that sin. It’s my fault too. He asked me to come upstairs and I went with him,” she explained. “You went with him because he had your trust,” I tried to reason with her. “I don’t know. I am responsible for this,” she said. “Do you think Zainab Ansari was responsible for whatever happened to her?” I asked. “But as per your theory for yourself, she was. Didn’t she go with the perpetrator herself? We can see her happily going along in that video. So, was she at fault? Was she responsible for the horrible act done to her?” I asked. “No. She wasn’t,” she replied. “Were you… are you responsible for what your cousin did to you?” I asked. She broke down in tears and told me she wasn’t responsible for what happened to her. She received just a couple of sessions with me and then her paternal uncle – the perpetrator’s father – started intervening. She didn’t share the story of her abuse with anyone else so his interference wasn’t related to the abuse, but to the toxic hegemonic masculinity ingrained in our patriarchal culture. He negated the girl’s father and dictated that she shouldn’t continue therapy as it is a waste of time and money. He felt that since no medications are involved, there is no sense of therapy. He did not understand how therapy could treat her body aches, and failed to accept her depression. The healing for the very abuse projected by his son on this girl was denied. The girl’s dad was powerless. That’s our patriarchal culture and hegemonic masculinity for you. Sexual abuse thus should be seen through this broader perspective. I remember another incident of a boy sexually abused at school. This too narrates how broad the effects and phenomenon of child sexual abuse are in a culture like ours. This boy, at such a tender age, took the courageous step of sharing the incident with one of his teachers. The boy did what he could do best at such a young age, showing that he wanted to be healed, protected, and grow out of this. Instead, the news was spread in the entire school by the teacher. The boy confided in his friends, and thus began an endless series of bullying. He was called effeminate, along with other names. And that’s not it. The senior boys saw this as an opportunity, and they too sexually abused him for years. After years and years of therapy, a part of him still holds himself responsible for this. 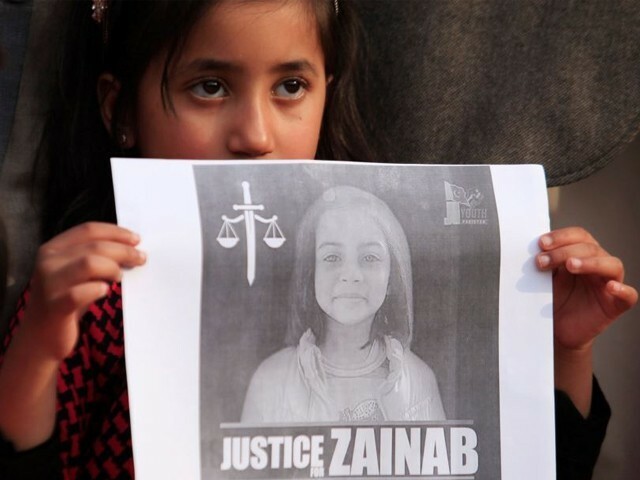 This year we saw a nationwide tragedy and barely recovered from the cruelty a little child, Zainab, was subjected to. Like most incidents of child sexual abuse, the perpetrator was familiar to her and further gained her trust while her parents were away performing religious pilgrimage. The heartbreaking video of the perpetrator walking away with the child circulated on social media. The brutality she was subjected to resonated with every person in the nation. Some people blamed the parents and the caretaker, while others, including her own father, called it fate’s will. The real issue of abuse would have been supressed, had the media and civil society members not intervened. People could not forget her innocent face and could not make sense of the brutality she had to go through. Ever since Zainab’s unfortunate incident was highlighted by the media, the narrative surrounding child sexual abuse changed a little. It helped in sensitising people and created a dialogue about prevention, intervention and protection. A number of workshops were conducted on prevention and protection for parents, teachers and kids. We saw that justice can be served in these cases, and a lot of us got the courage to seek justice for our own children. However, I still feel we are unable to start a dialogue for the survivors of child sexual abuse. We are still unable to cater to the self-blame that survivors inflict on themselves, and as a result suffer a number of psychological complications. We are still unable to understand child sexual abuse in terms of our patriarchal culture and hegemonic masculinity. We are still unable to rehabilitate the men who perpetrate such violence. We are still unable to stand up for our kids when they are abused by our brothers, sons, aunts, servants, relatives, and even our husbands. We feel that if we don’t talk about it, it’ll disappear forever. Instead of holding the perpetrator accountable, we talk about making public spaces safe. We complain to schools about the hygiene of food served there. We care about the shoes and clothes our kids wear. We care about whether or not they have eaten properly. We care about our kids’ homework, themed birthday parties, spelling bee competitions and so on. Then why do we not care more about what our children are silently going through? By not caring more when they are children, we get adults who are severely disturbed psychologically. Then, while they seek therapy, they all say that the sexual abuse they faced as children had zero effect on them – something that is not true and always makes me cry. A lot of work undoubtedly needs to be done in this area, but there are a few steps we can take from our end, albeit small. We can stop blaming the victims. We can stop the parents from treating the victims as instigators. We can correct the friends that casually make child abuse jokes. We can take a moment and think if we, intentionally or unintentionally, do the same. That is the only way to fight back taboo, and that is the only way to change the mindset we are stuck in.